by Garrett Jutte on December 27, 2014. 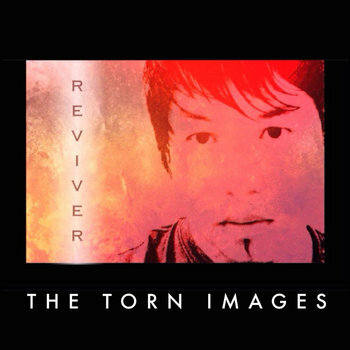 Originally formed in 2012, The Torn Images consisted of Briand Arabaca on vocals/ guitar and Jayson Thompson on drums. They created one EP before Thompson moved and left the band. Keeping his resolve alive, Arabaca kept the band going and created a second EP before the debut album, Reviver, which released November 19, 2014. Is the album enough to keep these images together, or does it fail to revive Arabaca’s resoluteness? The Torn Images is essentially one man, Briand Arabaca, from Mountain Valley, California. Although he is accompanied by other artists from Orange County, such as Jonathan O’Brian, Andy Hendandez and Tyler De Young. The three come together to give Reviver a full quality sound. The album starts off with “The Drifting” a slow steady track that’s simple mood is hard to ignore. It picks up the way old school rock does and even finishes with a lasting effect that goes into the second track. Once again, slow and moody, “Mantle of Disguise” brings the speed up a bit and even slides into a short instrumental breakdown close to the two minute mark. “Out of Control (Into The Void)” tries something less slowed down as the drums start off the track and keep the beat going with simple and effective snare. Echo and distortion lie at the core of the track. “Nearly Lost You” begins with guitar and vocals and stays that way, yet only increasing in power. As another guitar slyly works its way into the track, the vocals continue to lead without losing focus. Gentle and soft, “Life in Standstill” sticks to its namestake and dramatically steps away from the musical theme brought about in the rest of the album. This change is ultimately one that can lead to bigger things. Although the next track, “Aimless Breath” pretends to start slow and transforms into more recognizable as it almost bridges the gap between alternative rock and grunge. While the second half of the album gets more dark and moody, it ultimately is where the album becomes most impressive. The Torn Images will likely appeal to fans of Nine Inch Nails, Muse, and possibly Coldplay and Nirvana. Briand Arabaca sounds extremely natural in front of the mic. He can keep a track on focus and comfortable with little help. Any distortion throughout the album is done subtly with class to assist the lead guitar. As a debut album, Reviver is quite remarkable. It does not immediately impress, it is not a flashy beast, but it is subtle, thorough and comfortably dark. Arabaca blends his vocals and guitar together in a feat of elaborate changing beauty, something that sounds seamless and effortless like the constantly changing waves of the ocean. Finding an audience for it is the difficult part, as it is slow but definitely not progressive rock or Coldplay levels of slow. The Torn Images are off to a spectacular start, where they go from here will likely solidify their strengths and weaknesses. Underground Examinations is a series of Independent Music Reviews with the intention of giving new music a fair and appropriate opportunity to be enjoyed.